It’s been an emotional week. Positive emotions, as well as sad ones. Last week Martin and I travelled down to Devon and Cornwall to meet family, and friends we’d met on Twitter. Thankfully, none of the latter turned out to be axe murderers. We had a lovely couple of days with my Mum. During that time, we also met up with two Twitter friends and their dogs on Westward Ho beach. It was blinking freezing, but good fun and wonderful to meet the two lovely ladies and their dogs in person. Martin is a pet photographer, and got some fabulous photos of the dogs. The next stop was Mullion, a small village on the Lizard Peninsula for the opening of our Twitter friend’s second-hand bookshop, Churchtown Books. We had met on our previous visit to Cornwall last autumn. A number of other Twitter friends attended for the opening too. This group of Twitter buddies is amazing: we have a diverse range of backgrounds, ages, and we live in different areas of the country. 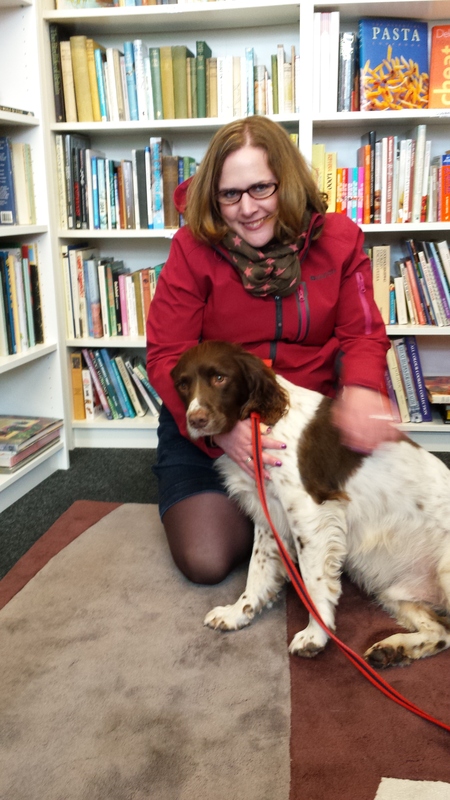 We have got to know each other through a shared love of dogs (English Springer Spaniels in particular). All hail the magic of social media! 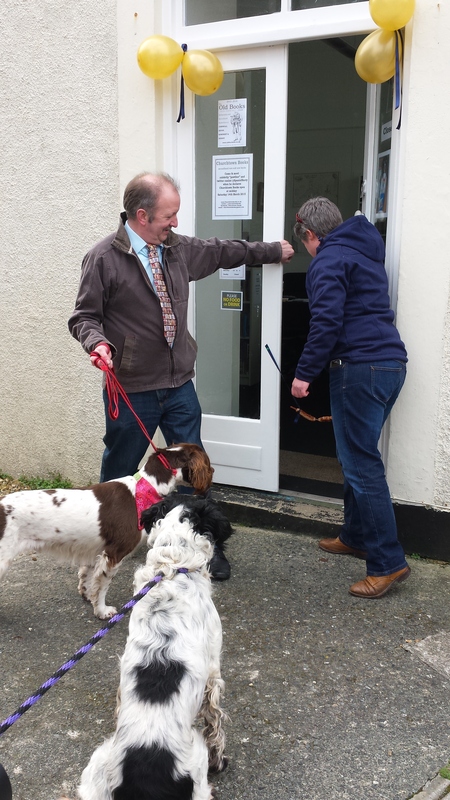 The shop opening went really well, attended by guests of both the two- and four-legged variety. Being a bookworm, I bought a stash of paperbacks, as well as a special antique copy of Jane Eyre. The bookshop opening: instead of cutting a ribbon, the dogs bit through a row of sausages. Me and Harry the spaniel. We stayed in a room in the local pub, which dates from the sixteenth century. We had a gorgeous huge room with lovely views, but being a pub it was inevitably rather noisy on the Friday and Saturday nights. Martin and I were keen to try and see a sunset over the sea. Our friend was kind enough to take us out and shiver with us while we waited. The cold was worth it: the sunset was absolutely spectacular. The clouds above the setting sun were alive with pinks and reds, at some points looking though they were on fire. Rays peeked through the clouds. 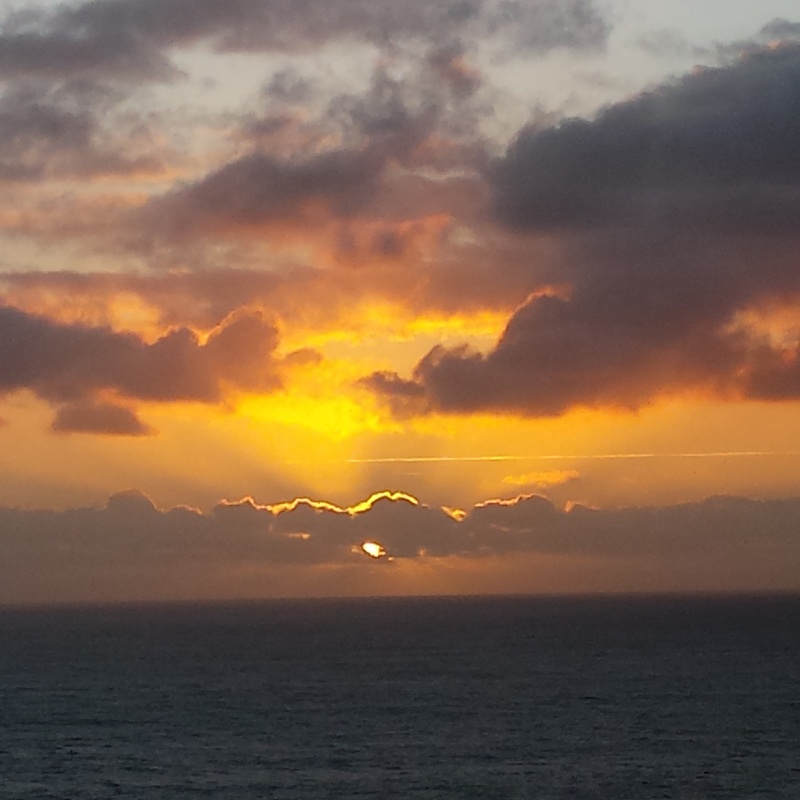 As the sun sank further, it became a glorious orange colour and seemed like molten lava melting in to the sea. 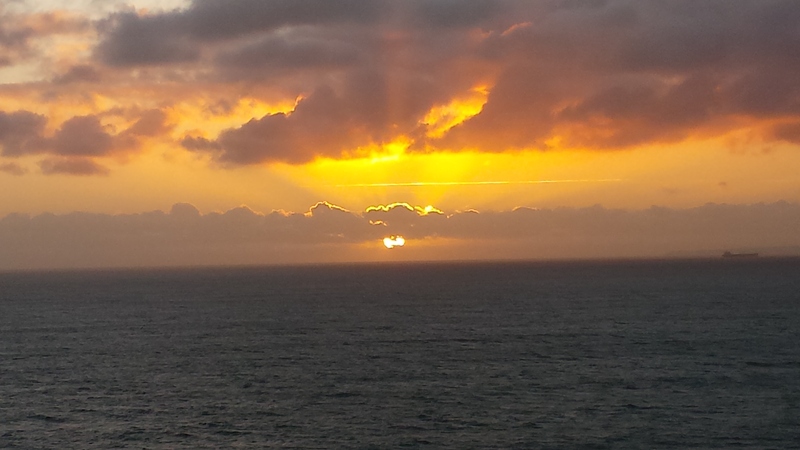 Our friend says he has seen many sunsets during his time in Cornwall, but none quite like that one. Martin and I like to think of Hugo playing beyond the clouds, up among the stars. For that reason, such a beautiful sunset made us both feel emotional with the thought that Hugo had helped put on such a show especially for his Mummy and Daddy who were watching. Martin and I in Mullion. After a lovely few days spending time with wonderful people, Martin and I had a couple of quiet days to ourselves. 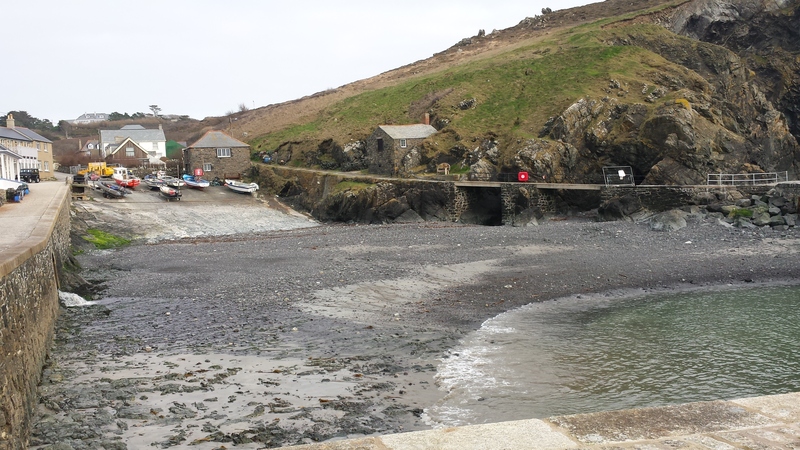 We left Mullion and travelled to Looe. 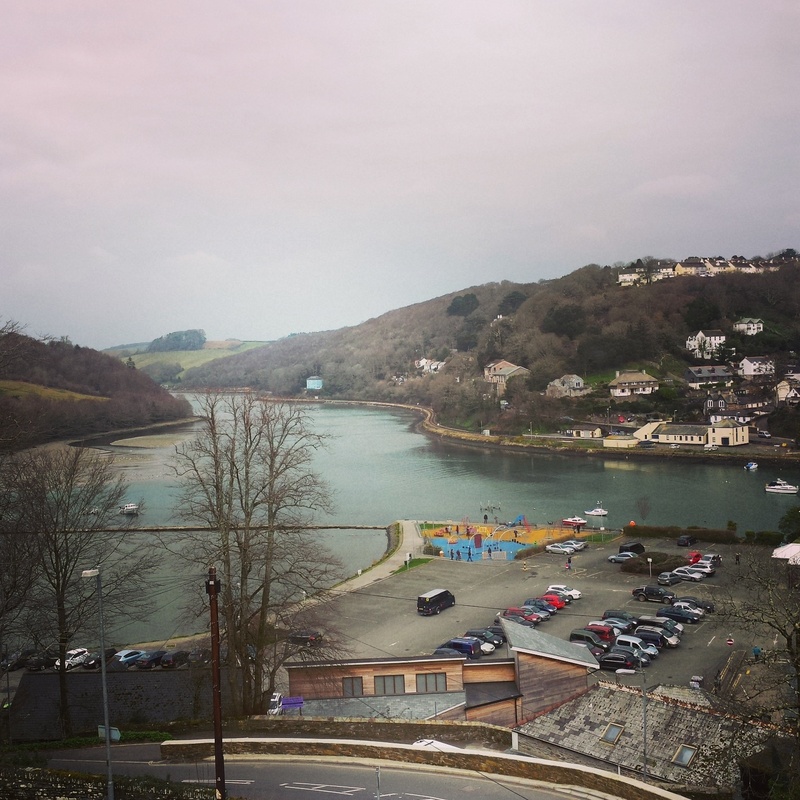 The view from our room in Looe. The B&B Martin had found, Schooner Point, was beautiful and the best I have stayed in. 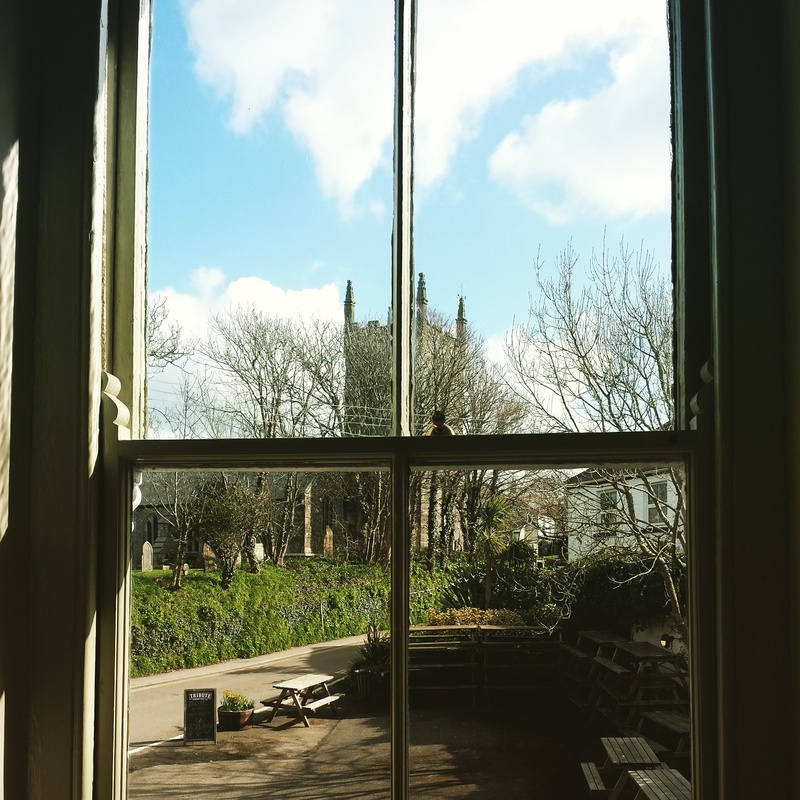 We had a huge room with such a pretty view of the river estuary. A bonus was the room was decorated in purple! Nothing was too much trouble for the hosts, who served us tea and cake on arrival. The room was equipped with lovely little touches like slippers, robes, and chocolates. 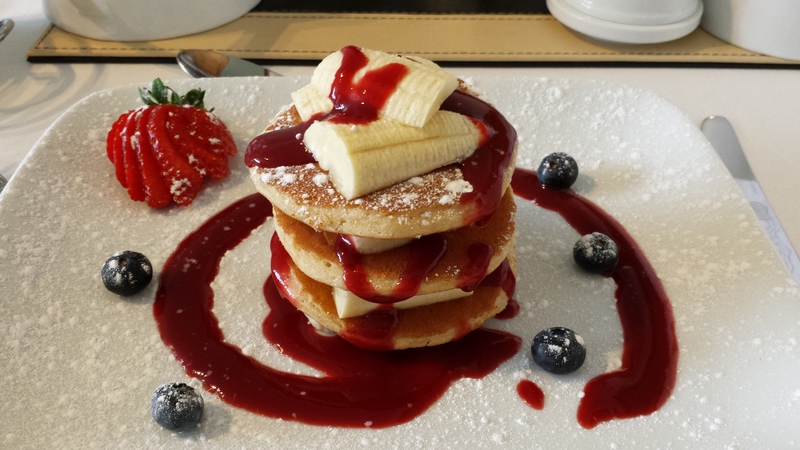 They also served the best breakfasts – while Martin had the full English, I thoroughly enjoyed the banana stack – a delicious pancake and fruit concoction. Our arrival in Looe coincided with Mother’s Day. Exploring the town, we discovered the beach which of course was full of families celebrating the day. They all looked so bloody happy and content doing just normal, simple family activities at the seaside. It all felt too much, and I had a cry. 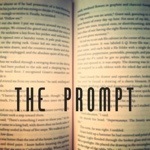 Writing about it helped a little, releasing those emotions is good therapy. 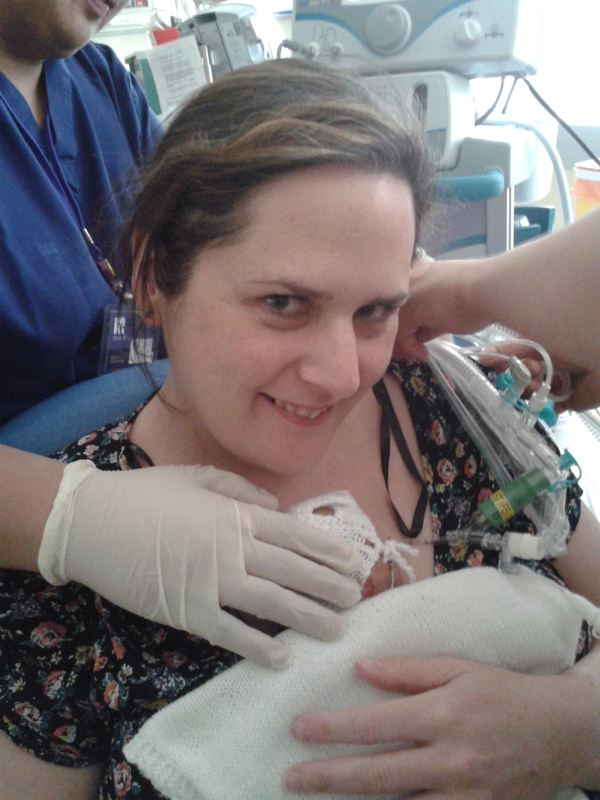 The messages I received from so many people on social media and by text were also a comfort – remembering that I am a mother still, even though Hugo is not in my arms. A couple of the messages, saying they hope I remember how much Hugo loved me made me especially emotional. 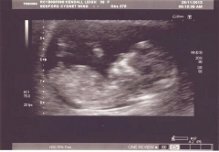 While I understand what happened is not my fault, Mummy guilt is still present, so being reassured that Hugo did love me means so much. 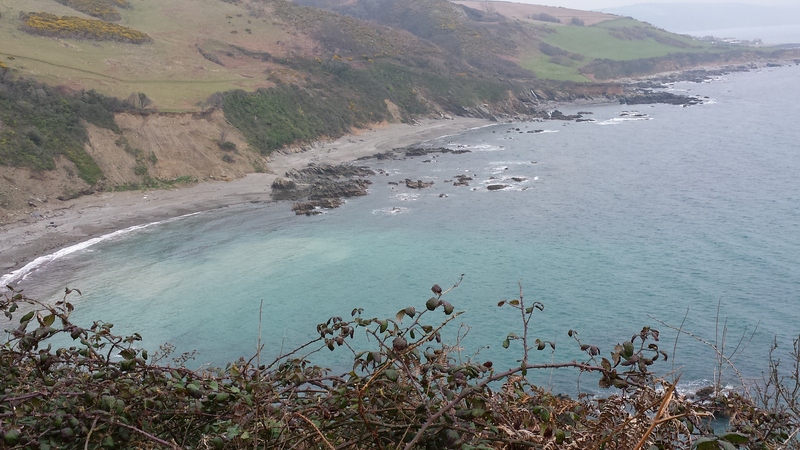 A view from the cliffwalk from Looe to Polperro. 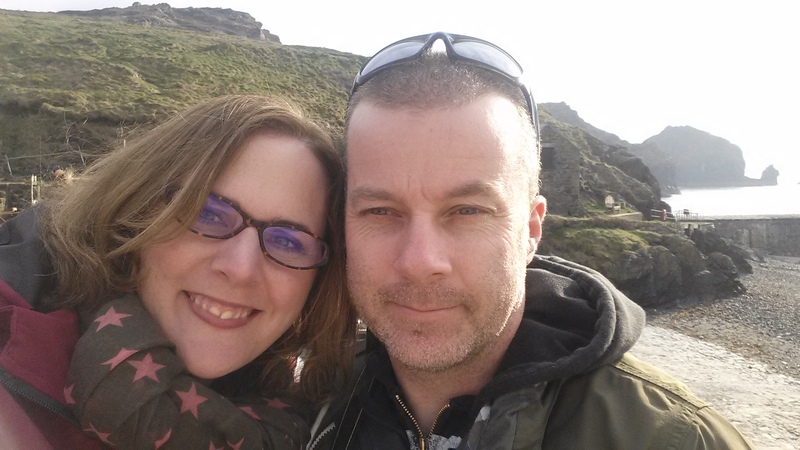 The next day Martin and I went on an epic cliffside walk to Polperro. The distance is about 5 1/2 miles, but as it was up and down steep paths was hard work! It is a beautiful path, though, and completely worth the effort. 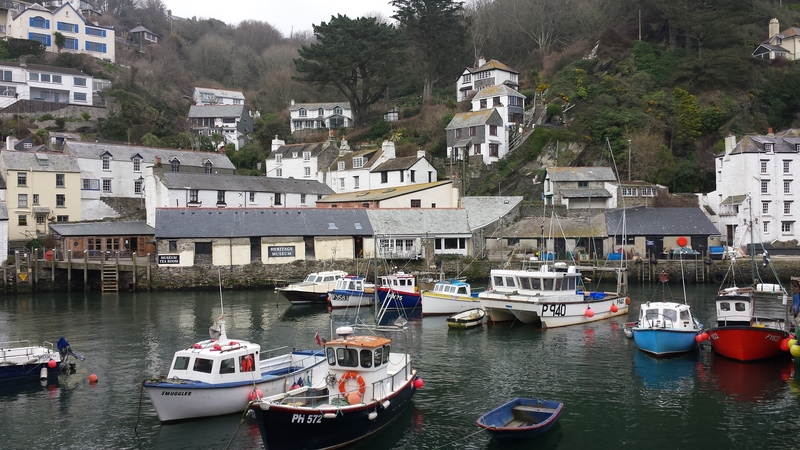 Polperro is stunning. Looe is pretty, but a bit too touristy for my taste, whereas Polperro is more organic with its harbour and quaint winding streets. Before we set off on our walk we thought we might walk back too, but we were so tired we got the bus. 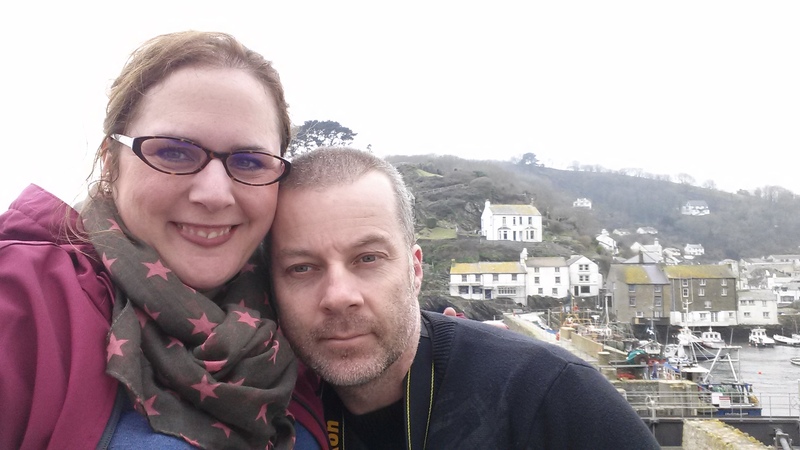 A sweaty and tired Leigh and Martin arrive at Polperro. 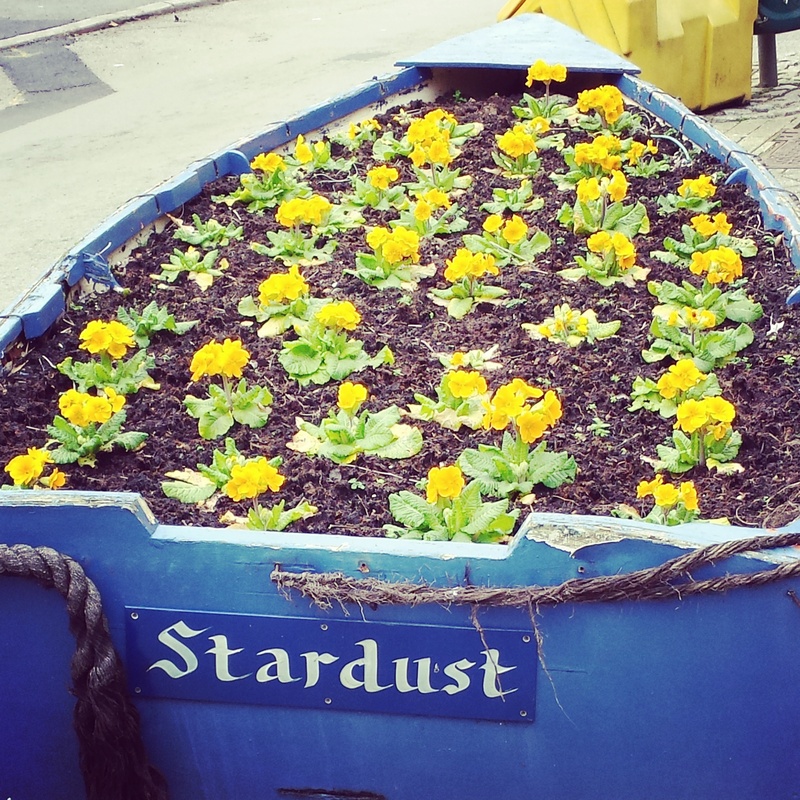 Polperro – the name of the boat, and yellow flowers inevitably reminded me of Hugo. We faced the epic drive home the following day, broken by lunch with Martin’s dad and stepmum in Devon. We are now facing the anniversary of the most emotional, joyful, and sorrowful week of our lives. 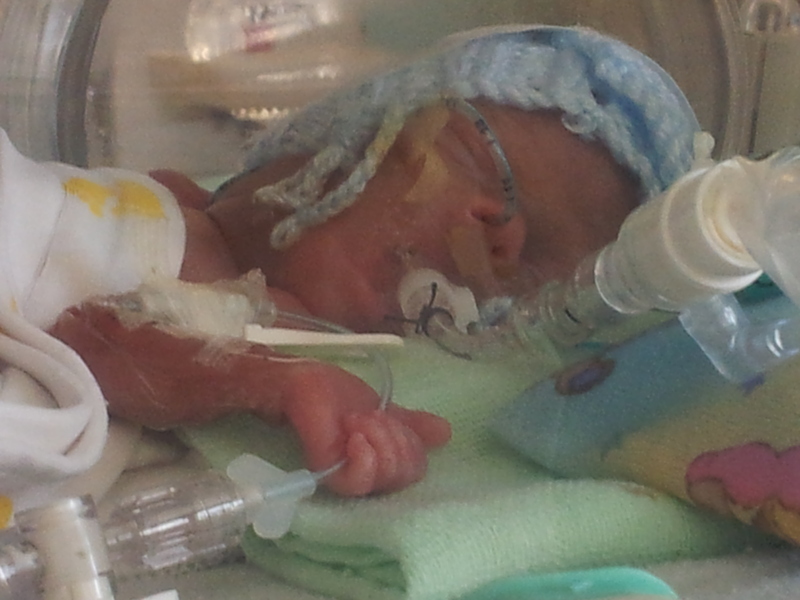 The first anniversary of being told Hugo was unlikely to survive was on Thursday. I cannot help every day but think of what we were doing on this day last year. 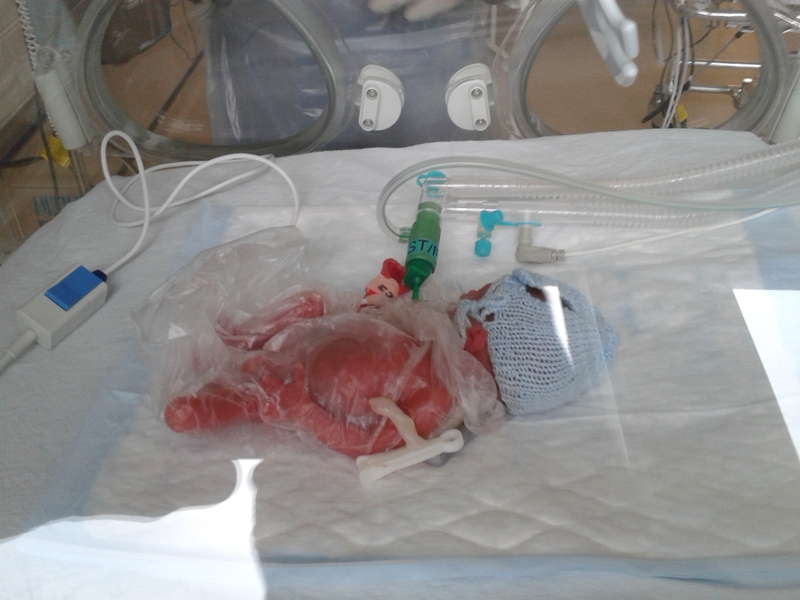 On this day last year, we were actually full of hope because the steroid treatment appeared to be working for Hugo; after only 36 hours, his pressures and oxygen needs had improved dramatically. 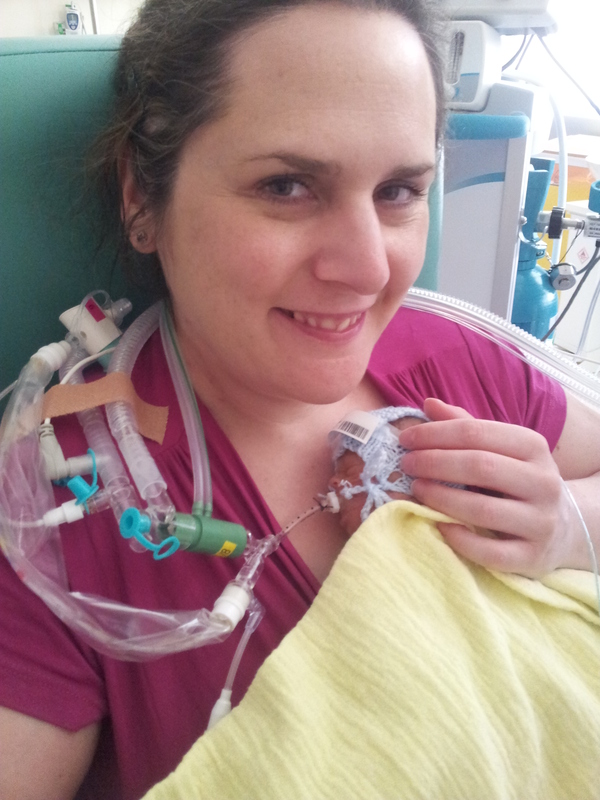 Sadly, that improvement was not sustained and a year ago this coming Friday (March 27) Hugo died in my arms. 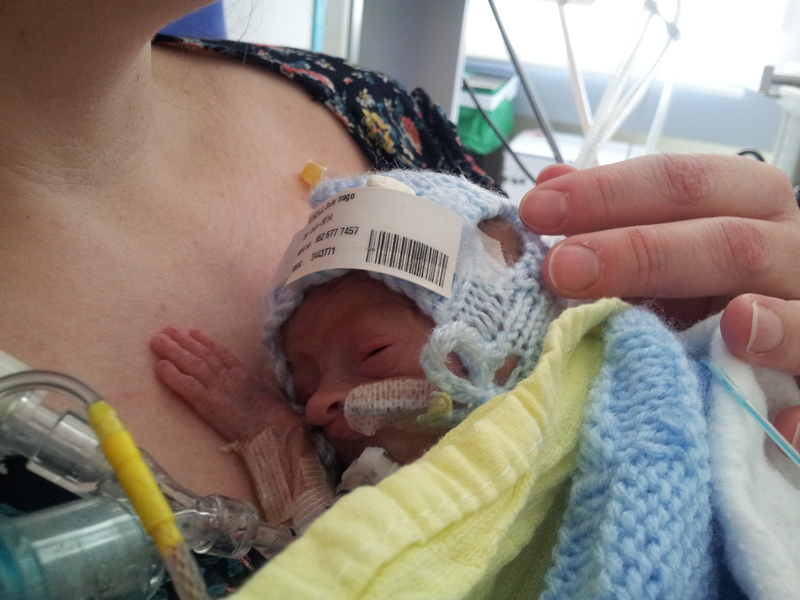 It’s awful, wrenching, devastating to think about the events of the last week of Hugo’s life, even a year on. Every day brings different emotions. Nominations are open for one of the most prestigious blogging prizes – the Brilliance in Blogging Awards (or BiBs, for short). 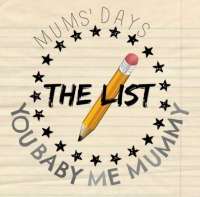 Organised by BritMums, a major parenting blogging network, the awards celebrate the best bloggers in 12 categories. Asking to be nominated feels a little awkward. 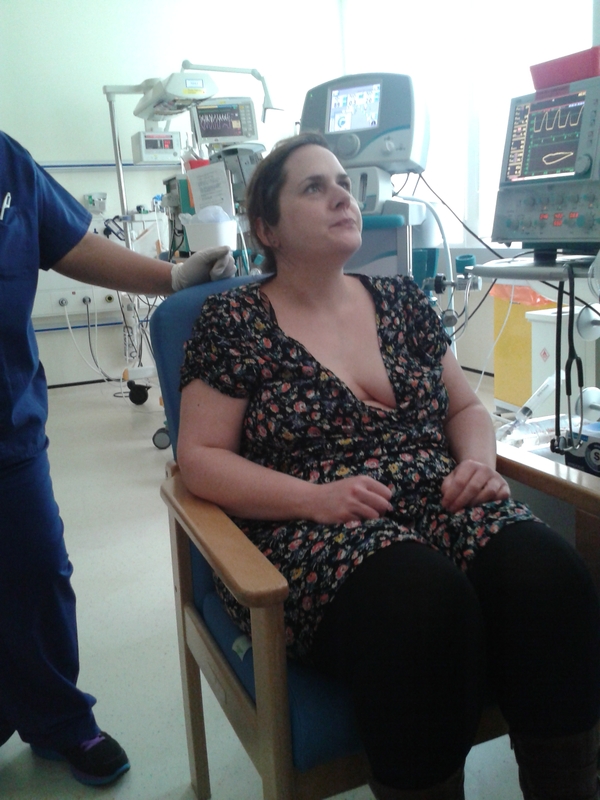 A year ago today, I was in a very different place – physically and emotionally. I had never heard of BritMums, or the BiBs. I dearly wish that I was not sitting here today typing this, and that you, dear readers, had never heard of me or of Hugo. But you have heard of me and of Hugo. That is because Hugo died. 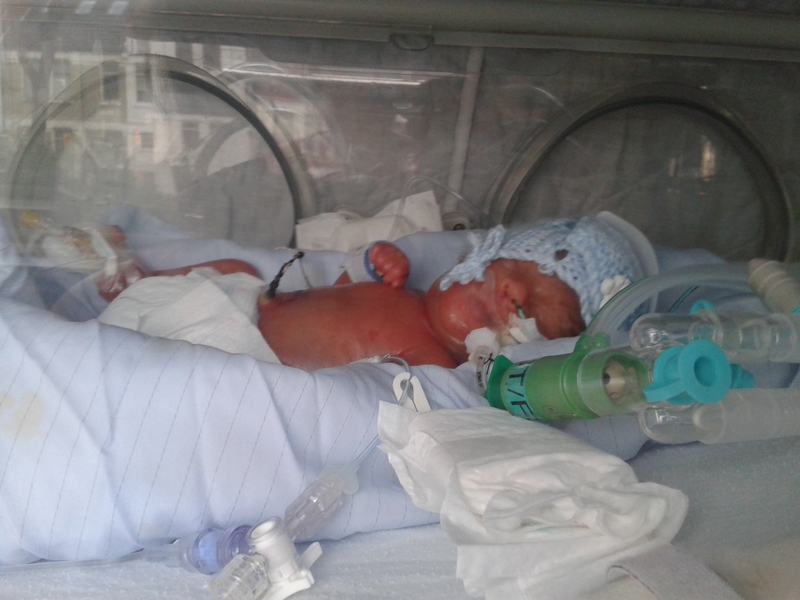 I took to my blog to express my grief, and to raise awareness of HELLP syndrome, the rare pregnancy illness that nearly took my life and was the cause of Hugo’s very premature birth. 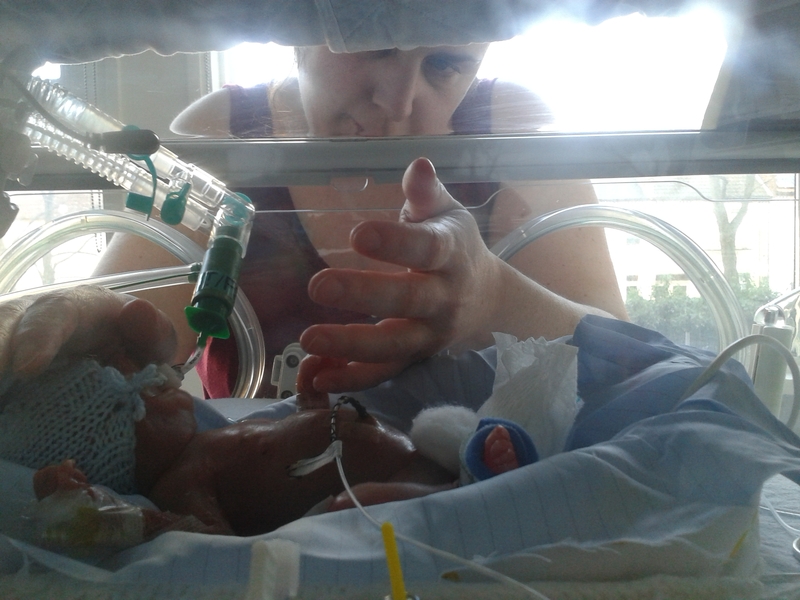 I set up Hugo’s Legacy (#HugosLegacy on Twitter), to raise awareness of HELLP, birth trauma, premature babies, baby loss, and improved support for those experiencing these things. The things that Hugo’s Legacy has achieved in less than a year (I wrote my first Hugo-related post at the end of April 2014) have exceeded my wildest expectations. 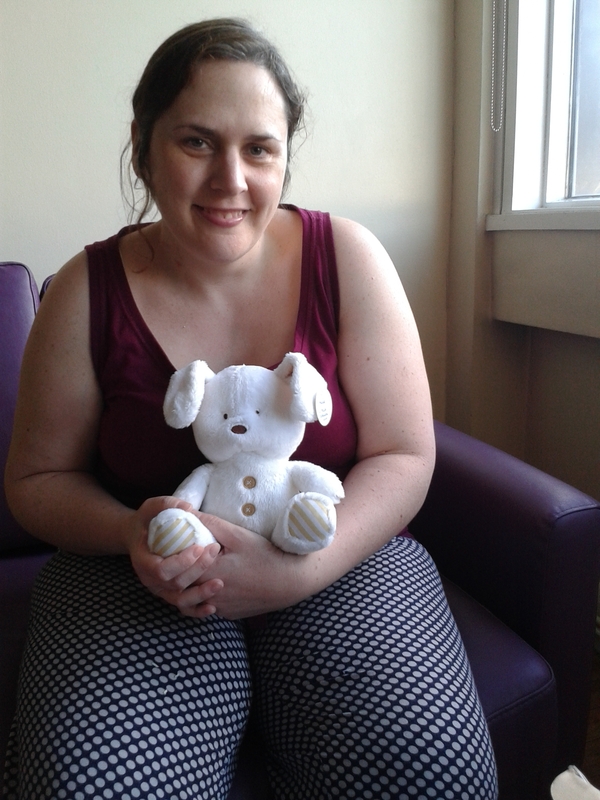 Readers have got in touch to say they now feel better able to be sensitive towards those who have lost a baby (or suffered a bereavement in general); more people have now heard of HELLP syndrome, and know what the symptoms of that illness and its close relation pre-eclampsia are; health care professionals have said they have reflected on and changed their practise as a result of reading my posts. There are so many wonderful blogs and bloggers out there, making choosing who to nominate a challenge (I’m having trouble narrowing down my choices!) I hope you will consider nominating my blog – I’m not in it for the plaudits, but being nominated for a BiB would be another achievement for Hugo’s Legacy. Plus, I would be lying if I said I wouldn’t be incredibly chuffed and proud. Nominations are made via this form. There are two categories you could consider nominating me for. The first is Inspire – “The content, the voice, the infectious enthusiasm of these bloggers encourages everyone around them. They are seen as leaders in their field and their inspiration is felt through the community.” My blog seeks to inspire change, and my readers have told me I am inspiring (which is very kind indeed). The nomination form asks for a sample post. 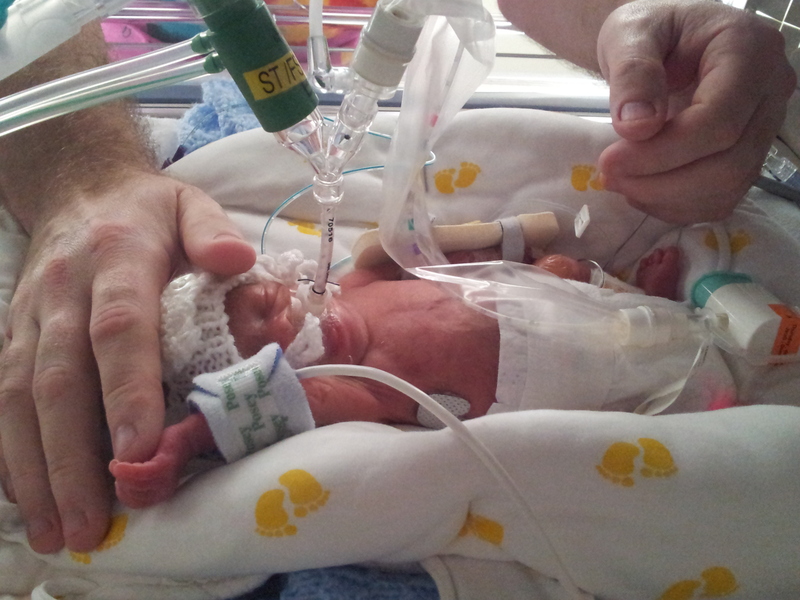 Some posts you may like to consider include When #HugosLegacy Trended; HELLP Raise Awareness; Five Reasons Why ALL Preemies are Completely Inspiring; Creating Precious Memories: Baby Bereavement Photography; An Open Letter to the Neonatal Unit Staff Who Cared for Hugo; Start a Conversation About Baby Loss. The other category is Writer – “Most blogs have writing at their core. But some blogs feature writing that makes it hard to stop laughing and reading. 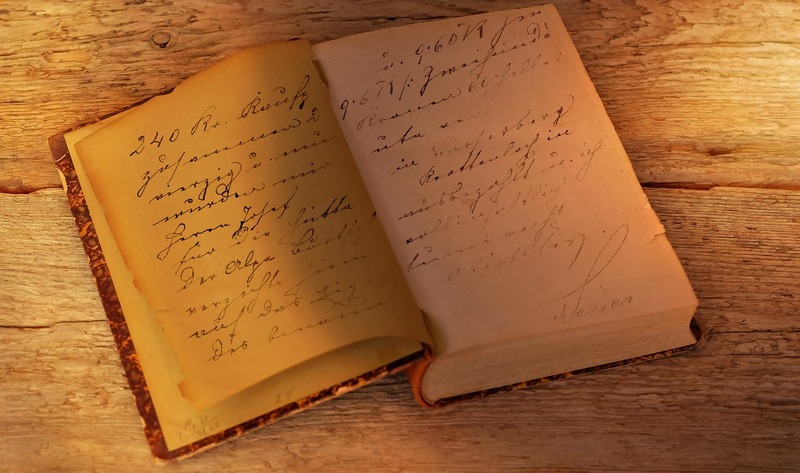 Whether a blog reads like a compelling bestseller or gorgeous poetry, this award celebrates the words on the page.” Due to the challenging subject matter of many of my posts I am sometimes surprised that people do read them, and find beauty in my writing. Again, the form asks for a sample post. My writing is diverse, including poetry and prose, as well as awareness-raising articles. Some posts for your consideration include: For the Babies Who Didn’t Make It Home; The Option for Compassionate End-of-Life Care; Giving My 18 Year Old Self A Good Talking To; Do Good Things Come to Those Who Wait? ; A World Gone Up in Smoke; The Letter from the War that Shattered the Peace. A couple of other bits of information the form asks for are the nominee’s Twitter handle (@leighakendall) and email address: headspace-perspective@outlook.com. Nominations are open until midnight on April 12, 2015. Ten from each category are then chosen for the shortlist, announced on April 28. The community then votes for their favourites; the finalists are then revealed, and the winners revealed at the ceremony on June 19. Thank you for all your support for everything during the past year. 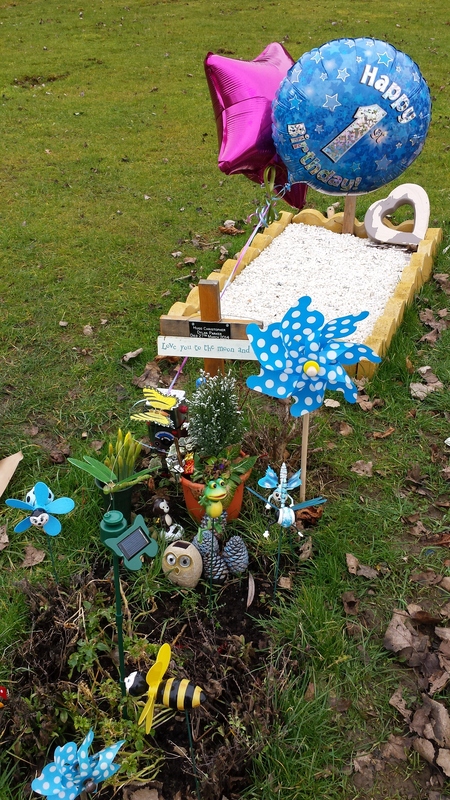 Thanks to many wonderful people on social media, #HugosLegacy trended last Friday. I had asked people to help get the hashtag trending in recognition of Hugo’s first birthday. While I had hoped people would get involved, the number of people who tweeted for Hugo surpassed my expectations. Apparently my tweets alone on Friday had a reach of 786,000. 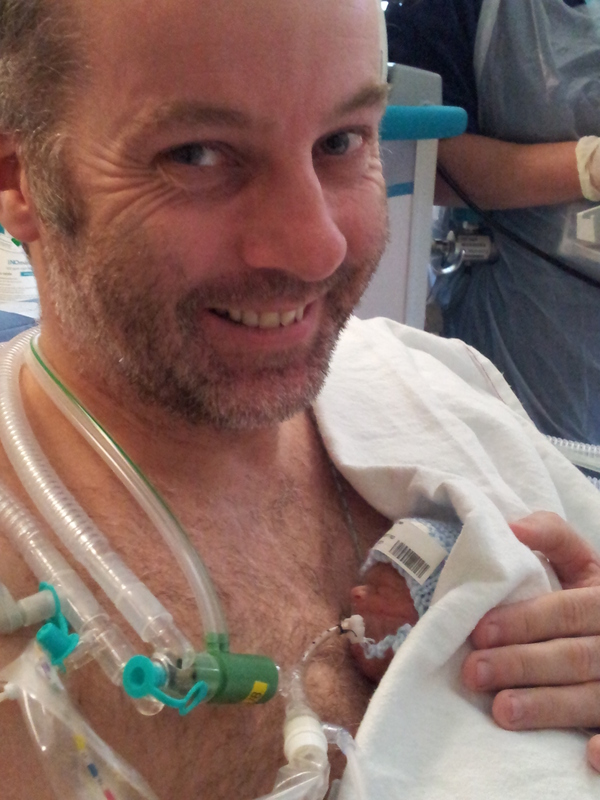 Thinking of how many people now know of Hugos Legacy from my and everyone else’s tweets is extraordinary. Seeing the number of tweets and retweets marked #HugosLegacy really was a sight to behold. There were so many tweets coming through, it became difficult to keep up with them all. #HugosLegacy was for a time trending higher than EastEnders with their big ‘whodunnit’ murder storyline. Only Cadbury’s was above us (but that was sponsored which is cheating). #HugosLegacy continued to trend in to the evening. My timeline is full of #HugosLegacy. What a wonderful thing to see. 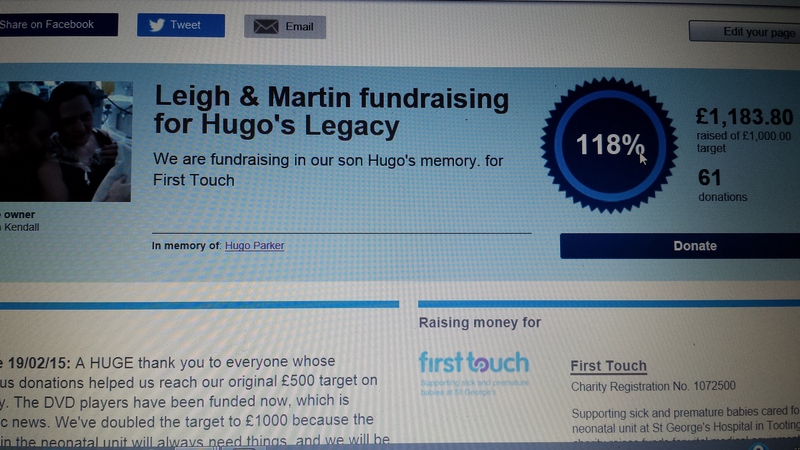 I have on several previous occasions described myself as ‘humbled’ by the support Hugo’s Legacy has received. Humbled seems an understatement for describing Friday. 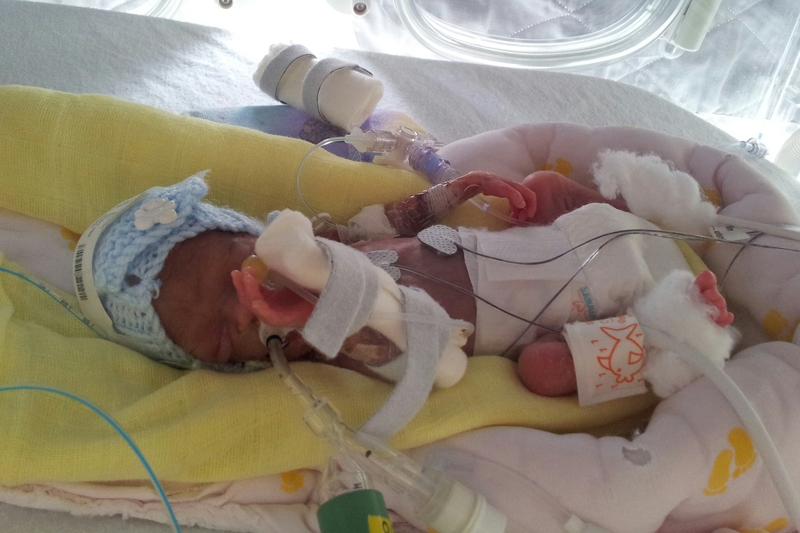 Baby loss remains a taboo, yet people took time out of their day to tweet about it. 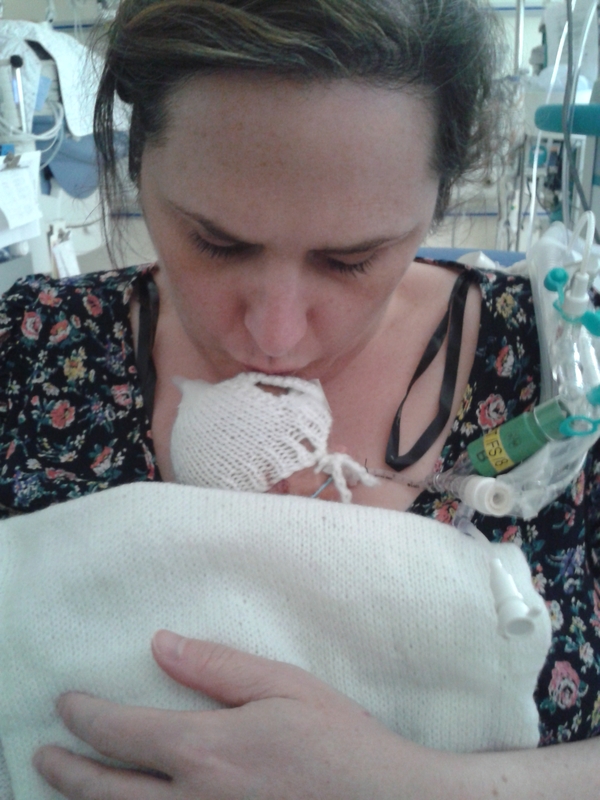 Thanks to the efforts of everyone who got involved, on Friday Twitter was alight with issues that too often are in the shadows: baby loss, birth trauma, prematurity, life in a neonatal unit. 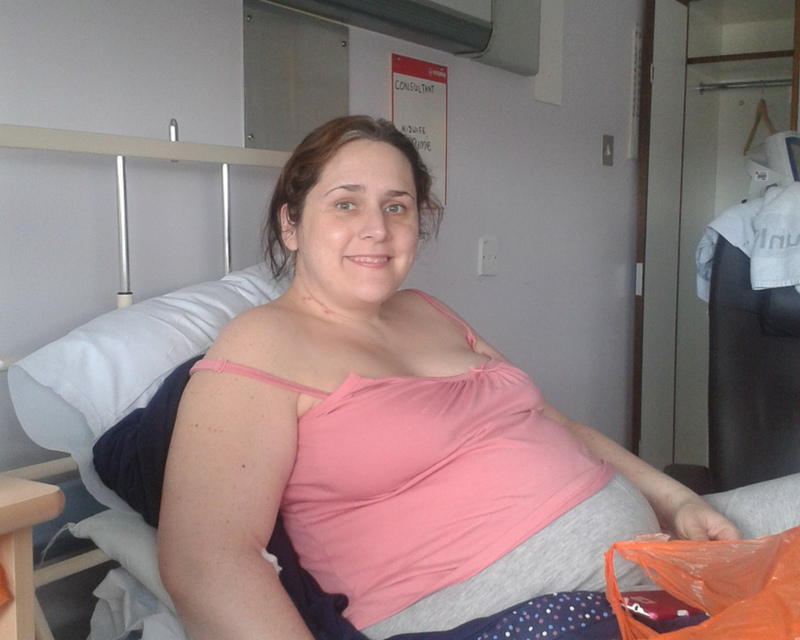 In addition, more people are now aware of HELLP syndrome and pre-eclampsia. Hopefully lives will be saved. This is what Hugo’s Legacy is all about. Hopefully now the messages can be disseminated even further. Friday was a beautiful example of how wonderful social media can be. 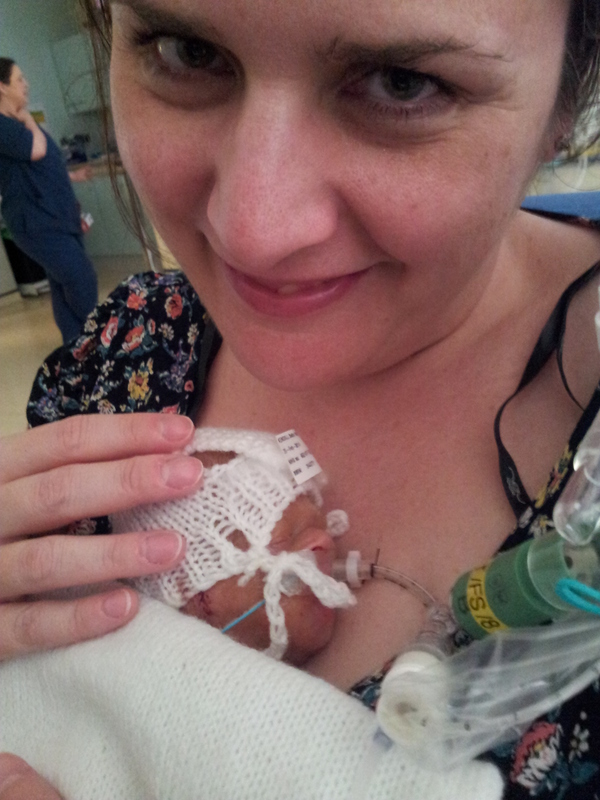 Nothing will make the loss of Hugo any easier to bear. However, the love that people have for my super champion boy Hugo, and the support so many people offer Martin and I provides a small comfort. 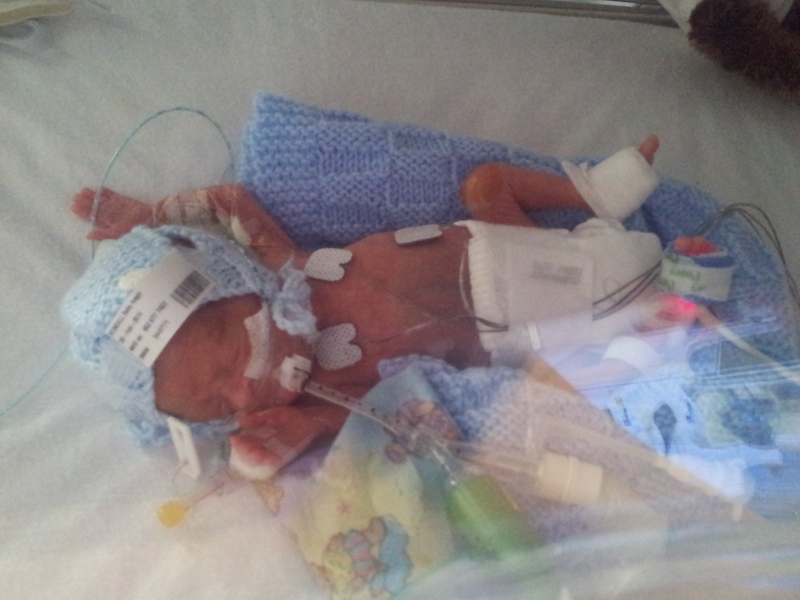 Keeping Hugo’s memory alive through raising awareness of these vital issues is an incredible legacy for a tiny boy whose time on Earth was far too brief. Hugo’s first birthday, one of the most difficult ‘firsts’ has come and gone. It was not a date I was looking forward to. But I have survived. Really, my survival was not in doubt. 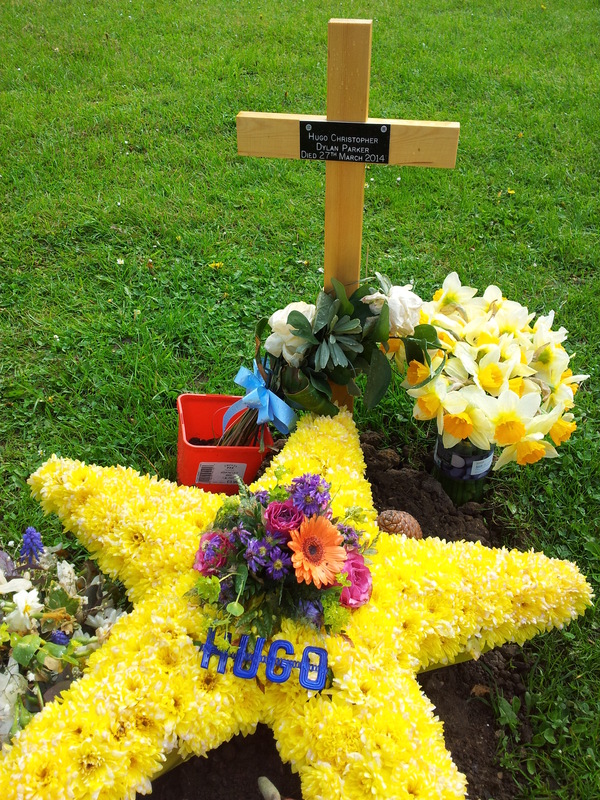 Hugo’s first birthday could never be as bad as the day he died, or as bad as the day of his funeral. As with many such things, the anticipation was possibly worse than the day itself. 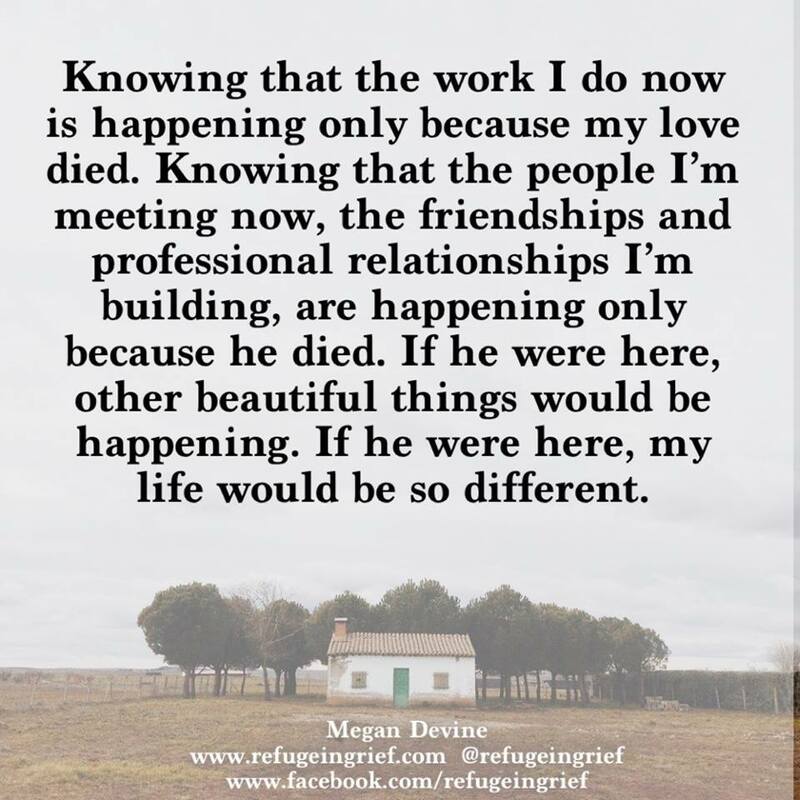 A friend whose son died last year in similar circumstances to Hugo messaged me to say that she found her son’s first birthday no better or no worse than any other day since he died. While she was sad that her son could not be there to celebrate his birthday with them, it didn’t make the pain any worse than it already was. That neatly sums up how the day felt for me. The dread started on the previous evening. I could not help but remember that was the last night I was pregnant. 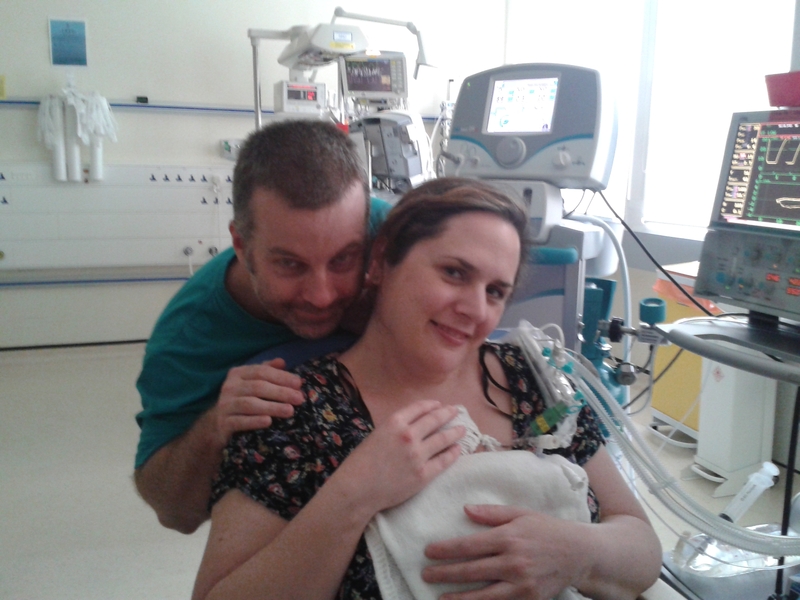 I was haunted by the thought that the pain in my chest was actually my liver in trouble, and that I had cheerfully responded with a “Yes, whatever,” to the midwives’ insistence that I tell them immediately if I developed a headache or flashing lights in my vision. 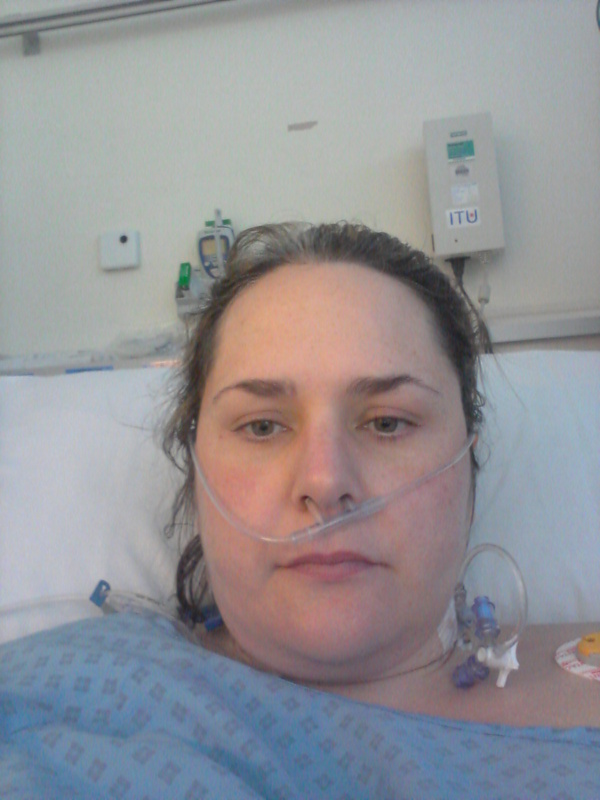 I had no idea at the time exactly how seriously ill I was. 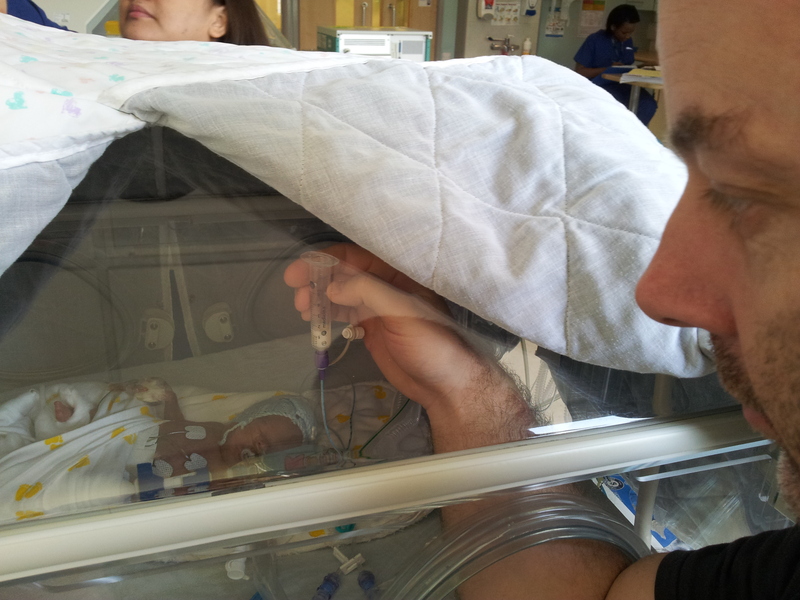 Reflecting on that night, and the following morning when Hugo was born is terrifying. Hugo’s birthday started on a sombre note. I had been troubled by nightmares, and both Martin and I had a cry. We were both thinking how different that day should have been. We were provided with much comfort by kind friends – both real-life and people whom we have got to know online. We were sent messages from people saying they were thinking of us and of Hugo. Some sent resonant song lyrics, and symbolic pictures. All these were sent as an expression of love for our little boy. It really did mean so much, and helped us through the day. 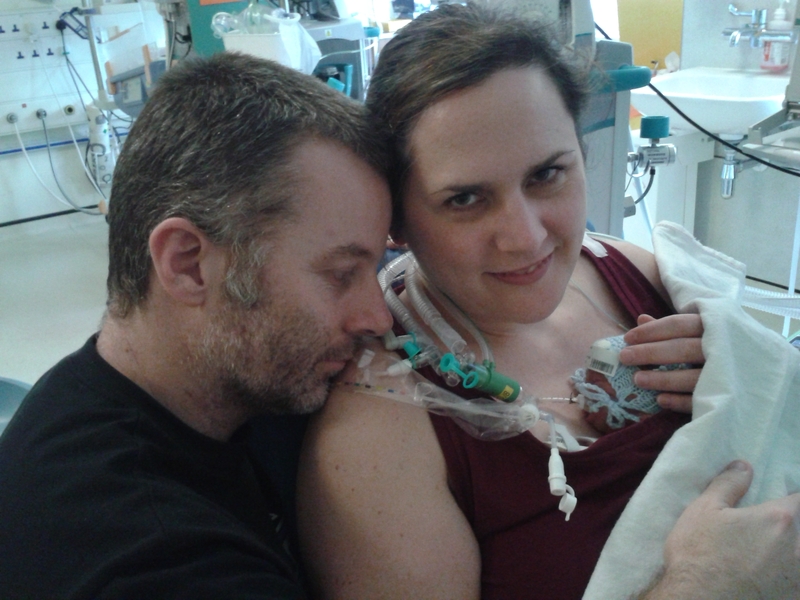 The week before Hugo’s birthday I had come up with a hair-brained idea to get #HugosLegacy trending on Twitter to mark the anniversary of his birth. In all honesty, I thought I might get a few people joining in and at best we might achieve a lower-ranking trend. But – to my emotional astonishment – #HugosLegacy was for a time top trending! This achievement is thanks mainly to a group of very special friends who took a lot of time to tweet, share on Facebook, write dedicated blog posts, and get in touch with all sorts of people to ask them to join in. You all know who you are – I’m not going to list you for fear of omitting someone – I am so very grateful. 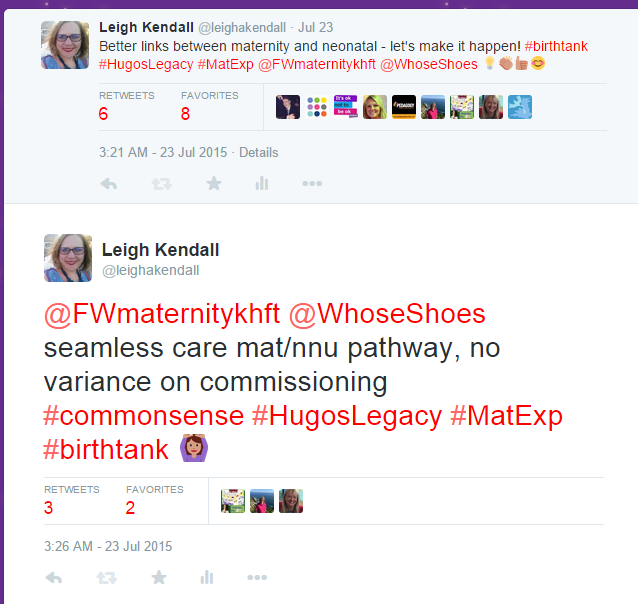 Martin and I tweeted photos and little anecdotes about Hugo, while others tweeted my posts, and reasons why #HugosLegacy is important. It was like a virtual birthday party for my super champion boy. I was so very proud. #HugosLegacy So important. Remembering Hugo and other lost babies. There were so many I was unable to keep up, and at times my laptop froze. I tried my best to respond to everyone and say thank you. There may be tweets that I missed – if so, I’m sorry. There is much more to this story, and I shall write a separate post. We achieved the top trending rank at the same time as we reached our fundraising target. I was so overwhelmed, I took off my glasses, put my head in my hands and had a cry. The fundraising target (which I had doubled from our original target because it had been achieved so quickly) has been surpassed. So many people have been incredibly generous – thank you. 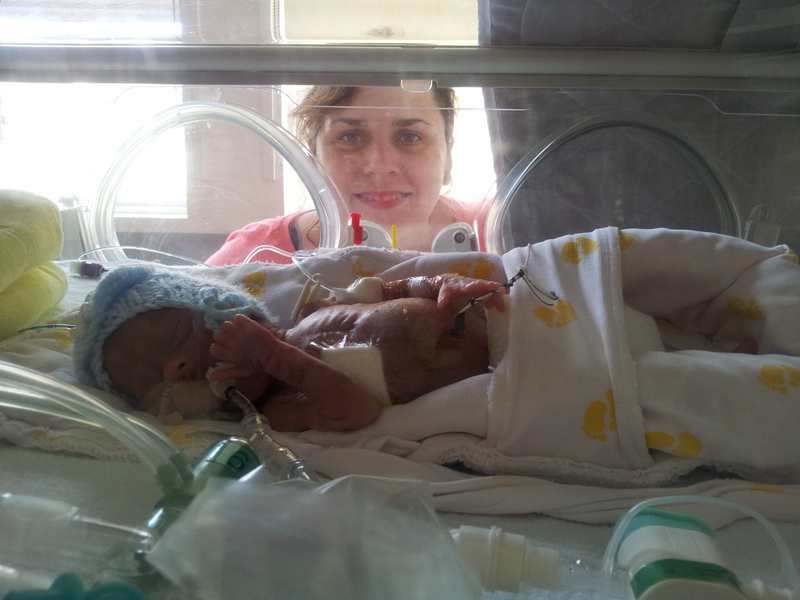 The page is still open, and will be ongoing so more babies can be helped in Hugo’s memory. The online activity celebrating Hugo’s arrival in the world, and the impact he has had on it exceeded my wildest expectations. Martin and I visited Hugo’s garden. We took him some balloons and flowers. We sang ‘Happy Birthday’ – one of Hugo’s lovely nurses had messaged me that morning encouraging me to do so, imagining him boogying to it. That image helped put a smile on my face, although a sad one. We were spoilt with gifts for Hugo. The gifts are so wonderful they deserve a post of their own. 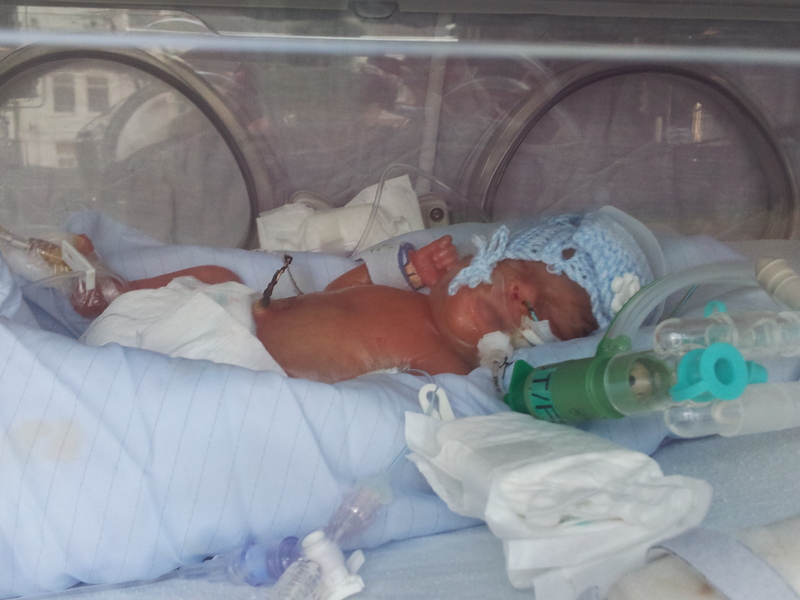 All the gifts are symbolic of Hugo, and are very special indeed. 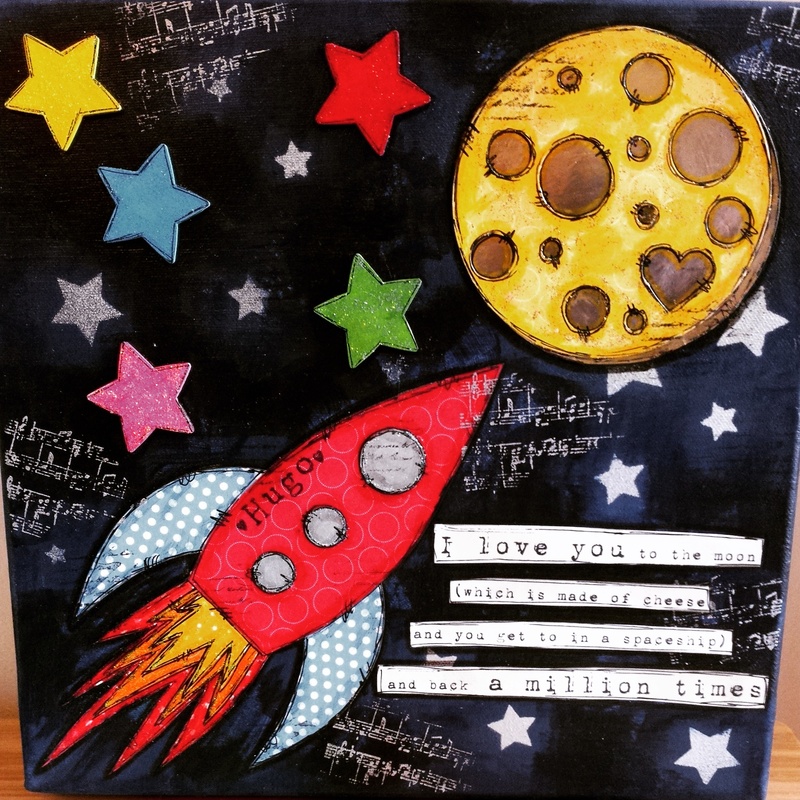 Martin and I commissioned a special piece of artwork for Hugo, which is so beautiful. The artwork we commissioned for Hugo. The evening was spent in the company of good friends who helped us celebrate the arrival of our son. We are now getting through the period from today until March 27, the day Hugo died. We are taking each day at a time. Each day may bring its own challenges, but we know with the love and support of so many people, we will survive them. It’s my birthday tomorrow, another year older. I don’t have to go to work; I have a lovely day planned. Cards have already arrived, yet to be opened; and if I am lucky I may even get some gifts. But it is not for those reasons I am glad it’s my birthday tomorrow: I am glad because I have lived another year, and I am growing older. I am not going to pretend to be 21 again. Instead, I’m proud to be just two years shy of the big 4-0. Why this gratitude and pride to be growing older? Because it is a privilege, a gift denied to so many. An occasion to celebrate. My last birthday felt like it was just another day: the pain of Hugo’s death still raw, I did not feel like celebrating, nor did I feel like I had anything worth celebrating. 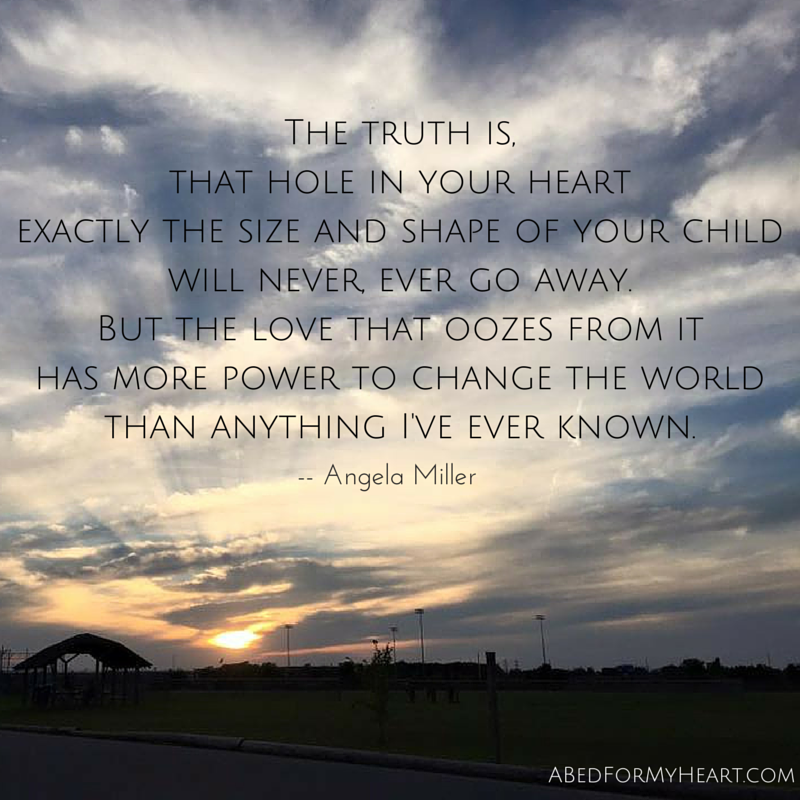 My son had died in my arms just a couple of months previously; my pregnancy had ended prematurely in a very traumatic fashion; my life had gone so very awry. Last year, I felt incapable of feeling happy, or even that I should ever allow myself to feel joy. Fast forward a year, and some things have shifted. My heart remains broken, the trauma remains, my life still has gone awry. But those things now feel different, and I have a different perception of life. This year, I feel more capable of feeling happy, and that I am allowed to feel joy. Indeed, I need to feel joy – and I find it in the small things like nature, the seaside, a cuddle. It’s an irony of life that when as children we are eager to be older, to be an adult with responsibilities and to make our own decisions. Yet when we are an adult we wish we could liberate ourselves from those wished-for responsibilities, slow down the clock against ageing. A decade ago, I was dreading my 30th birthday. It felt so old! Of course, when I reached the milestone I felt no different. In fact, if anything there are ways in which my thirties have been my best decade from the point of view that I am comfortable in my own skin, feel better able to be myself, and I have a direction in life. I wouldn’t like to repeat my twenties (and my teens? Don’t go there), even considering the benefits of a body that has not been ravaged by ten or more years of ageing….and life. And life is what is all about, isn’t it? Yes I have grey roots. I visit my hairdresser every two months to get them covered up and to be honest, they start being visible again after two to three weeks – I don’t stress about it. I have wrinkles around my eyes, despite using eye cream. Again, not worth worrying about: they are a sign of ageing – and of laughter and tears. I don’t spend time worrying about what I can’t change – with myself, and with others. I don’t get involved in gossip, or other people’s dramas. I recognise that I am me, I am enough. The balance helps me find more time for laughter. Laughing loudly, not worrying what others think of me. Instead of criticising what I see in the mirror, I reflect that I am fortunate to have what I do. Instead of wasting time worrying about things that I can’t change, I try to make the most of what I have. I know life is too short to not indulge in a little of what I fancy – we do not know what is going to happen tomorrow. That said, while tomorrows are not guaranteed I strive towards achieving a healthy balance to make sure I can enjoy the tomorrows I am blessed to receive. And tomorrows are what birthdays are all about. The traditional salutation for birthdays is “Many happy returns of the day”. 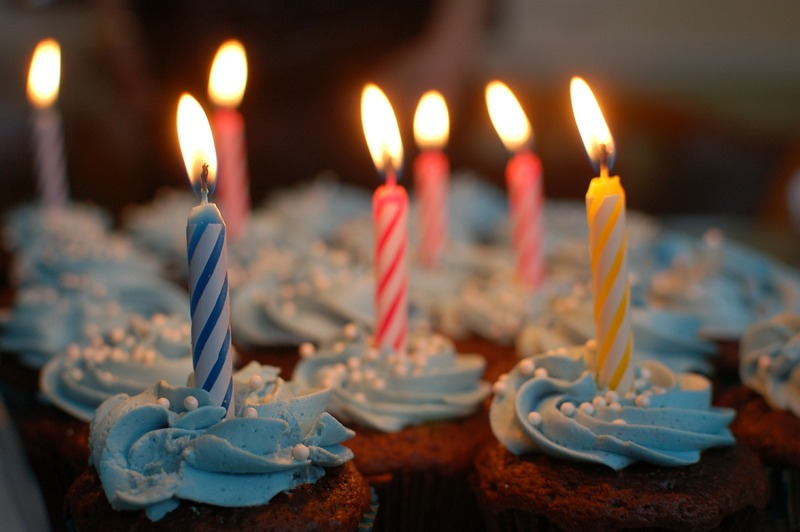 I hope my birthdays return many more times in the coming years and decades. I hope I have to visit my hairdresser more regularly to cover my ever-increasing grey roots, and that I have even more lines around my eyes from laughter. I cannot say I hope to not add to those lines through tears, because that is something I cannot control. 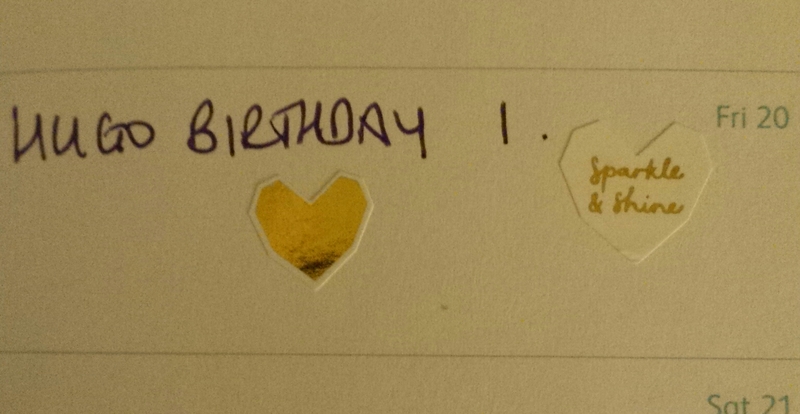 Another year older tomorrow, and I am glad.